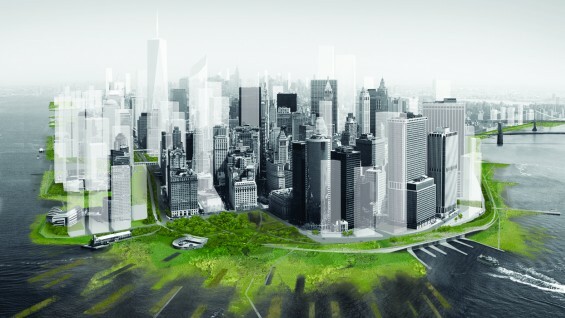 Green infrastructure holds tremendous promise for the future of cities. With our national highway infrastructure reaching the end of its projected lifespan there is an opportunity for adaptation of these larger conduits into new ecological corridors. dlandstudio catalyzes change by finding ways to make mono-functional infrastructure systems such as highways and canals more environmentally productive. The firm proposed transformation of the form, perception and experience of infrastructure systems to make cities more ecologically resilient. She will discuss projects in New York including the Gowanus Canal Sponge Park, BQGreen, MoMA Rising Currents among others. Susannah C. Drake, AIA, ASLA is an Irwin S. Chanin School of Architecture Professor and the principal of dlandstudio architecture + landscape architecture pllc, an award winning multi-disciplinary design firm. dlandstudio is the recipient of National and International urban design awards from the AIA, ASLA and Chicago Athenaeum. Susannah is the former President and Trustee of The New York ASLA, Trustee of the Van Alen Institute, Associate of the Cooper Union Institute for Sustainable Design. She is the author of Elastic Landscape: Seeding Ecology in Public Space & Urban Infrastructure which was recently published in the collection of essays entitled Infrastruktururbanismus. Her writings and are published in numerous design and academic journals including Topos, Ecological Design Magazine, Harvard Design Magazine (F 2012), NY Times, Landscape Architecture and Architecture. Susannah Lectures globally about how to make cities more resilient to climate change impacts. Susannah received a Bachelor’s of Arts Degree from Dartmouth College in 1987 and Master in Architecture and Master in Landscape Architecture degrees from the Harvard University Graduate School of Design in 1995.